A 3-pack of Transformers figures showing the evolution of the Autobot Bumblebee. 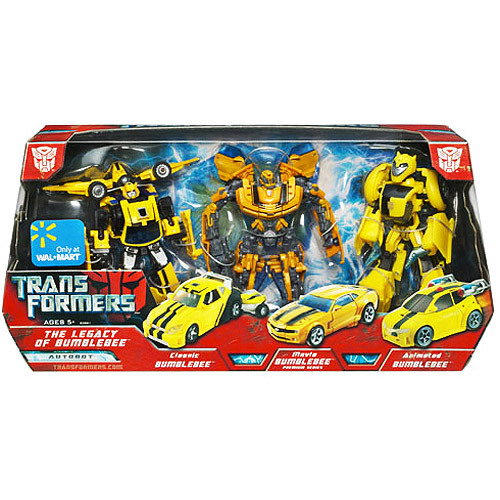 This pack includes Transformers Classic Bumblebee, Movie Bumblebee (Camaro 2008) and Transformers Animated Bumblebee figures. This is definitely worth collecting for Transformers fans.